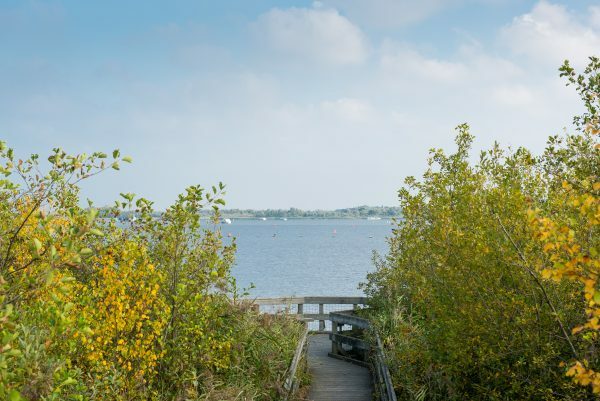 Exploring the Broads National Park on foot can be just as rewarding as spending time on the water, our suggestion for this short walk will provide a different perspectiv of Barton Broad together, discovering a hidden gem rarely visited. 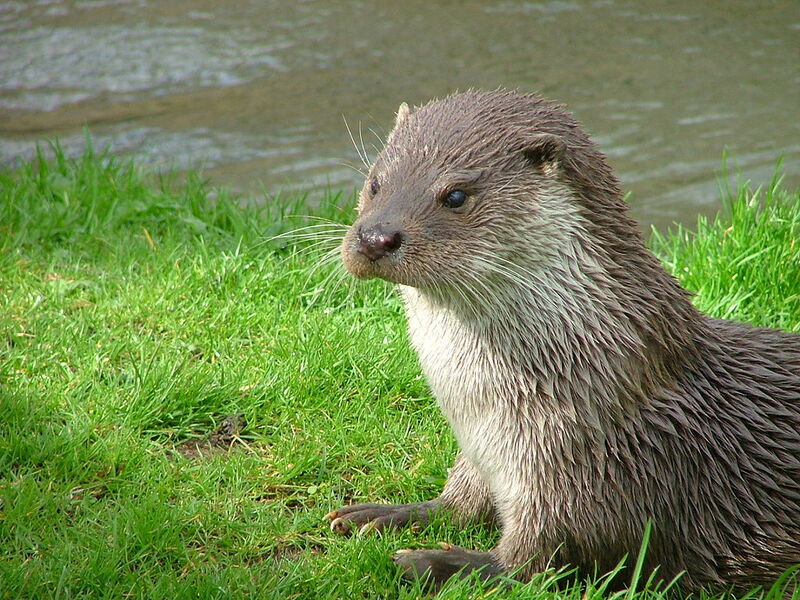 The route takes you on a circular walk of approximately 4 miles to discover Alderfen Broad owned and managed by the Norfolk Wildlife Trust; along a boardwalk to the very edge of Barton Broad followed by lunch at a traditional Norfolk pub. The White Horse Inn is also home to Neatishead Brewery offering a core range of real ales and beers. The brewery is located through a glass panel in the restaurant so you can see where your beer is made whilst you eat. 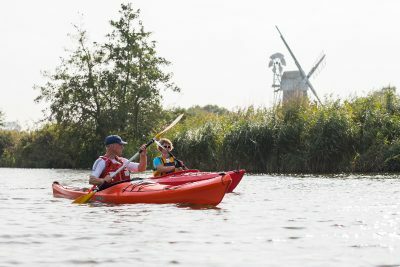 • Drive to the Broads Authority car park for Barton Broad in Neatishead, signposted off the A1062 from Horning, or the A1151 between Hoveton and Stalham. 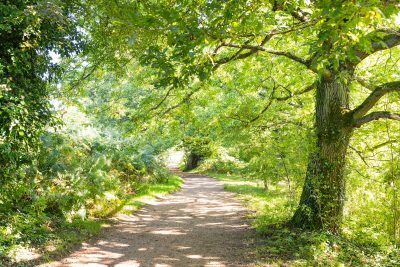 • Follow the signposts from the car park along the footpath towards the boardwalk, emerging onto a quiet country lane. 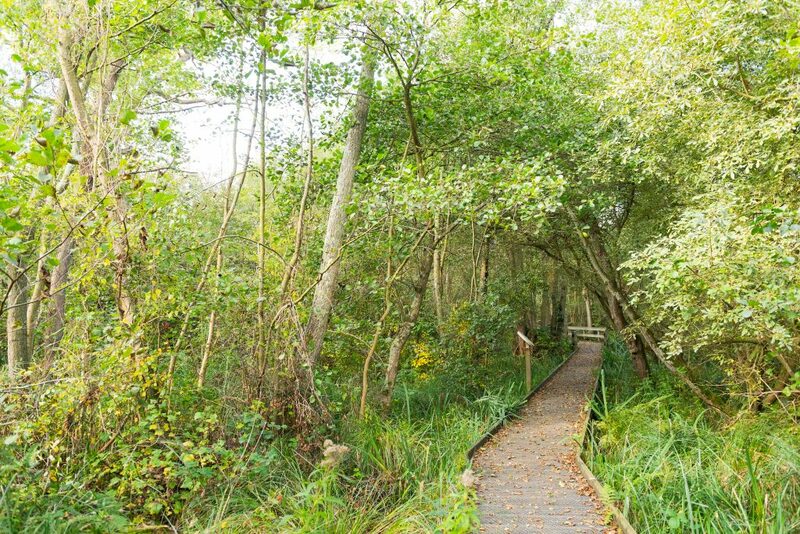 • After half a mile, you will come to the entrance to the boardwalk extending through the swampy woodland to the edge of Barton Broad where you emerge from the trees to views over the Broad and its many species of birdlife. 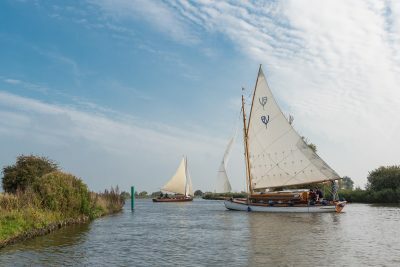 • The Broad itself has been the subject of a major water quality improvement programme in recent years, and it has become a flagship example of best practice across Europe. • To continue your walk, return to the road and turn left and walk on until you come to a crossroads. Turn right here and take the first left turn down another quiet country lane. • Follow this lane for just under a mile, past the first turning on your right and around a right hand bend to a junction with a ‘no through road’ sign to the right. 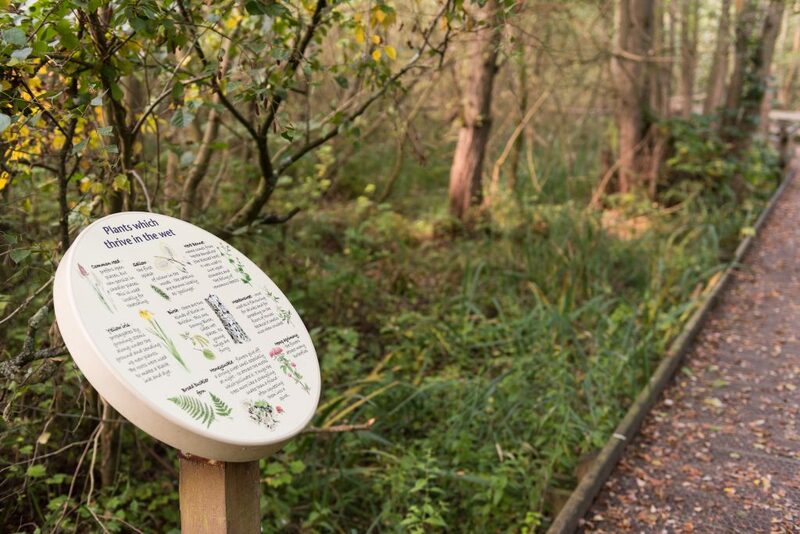 • Take the footpath signposted almost directly opposite you (4) and find your way along the path, alongside marsh and dyke until you reach the information board for Alderfen Broad. 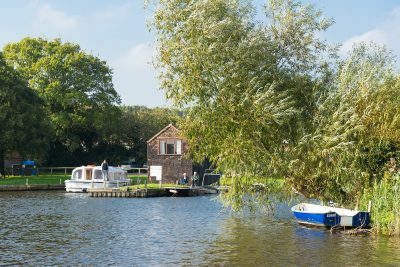 • This is one of the hidden places of the Broads National Park, not signposted from the public road, and visited by very few people. A Nature Reserve acquired by Norfolk Wildlife Trust in the 1930s, there is a sense of peace and tranquillity here that is difficult to match elsewhere. 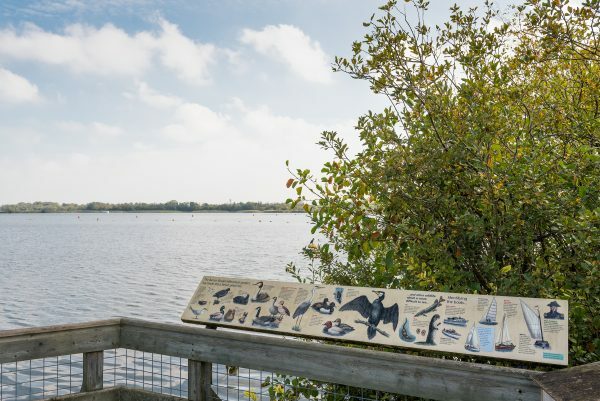 • We recommend you take a few minutes to wander to the bird viewing hide and absorb the atmosphere before continuing with the remainder of the walk. • When you are ready to carry on, proceed up the long straight track directly opposite the Broad for a short distance, before turning right onto a footpath along a field edge. • Follow this path, turning left at the end and then right in front of the first property you come to. Continue until you meet a rough track, turn left and you will come back to the public road. • Turn right along the road, around the right hand bend and then take the first left turn and after a short distance you will see the car park on your right. 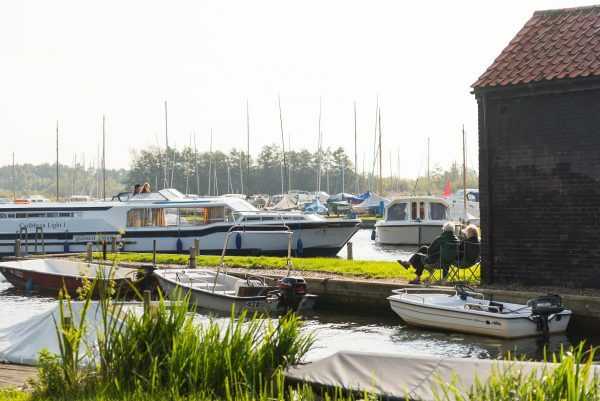 • If you have brought a picnic, follow the directions from the car park to Gay’s Staithe where there are a few seats and a grassy area with views into Limekiln Dyke. • Otherwise, drive the short distance into the village of Neatishead for lunch at the White Horse Inn, a traditional Norfolk pub with its own Brewery, serving several real ales and tasty home made food. 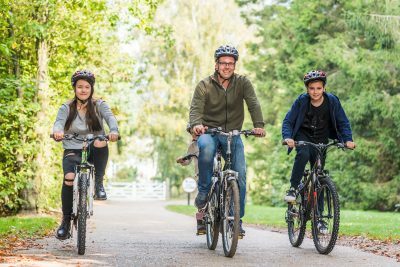 The walk can feel quite long for younger children, so to shorten the trip, try just walking to the boardwalk and spending some time wildlife and bird spotting along the nature trail before returning to the car park and then to Neatishead for lunch. Otters have been re-establishing themselves in the Broads in recent times, and several pairs have been spotted on Barton Broad over the past few years.